We are dedicatedly engaged in manufacturing and supplying quality-approved Boiler Coils. Designed at par with international quality standards, all our products are manufactured using high-grade material and quality components that are sourced from the trusted vendors of the market. Also, these products are checked by expert quality controllers on various parameters to ensure flawlessness. 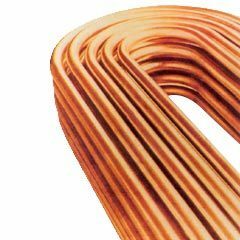 We manufacture and export of Super Heater Coil. These are fabricated out of carbon steel and alloy steel tubes to customers' drawings and specifications. 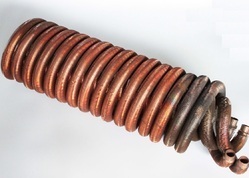 These super heater coils are used in primary or secondary stages of super heaters of Thermal Power Plants or Captive Power Plants. Special care is taken for ovality and thinning at the bent portion, during fabrication. Customised or tailor made coils are offered. IBR or 3rd party inspection undertaken. Looking for Super Heater Coils ?